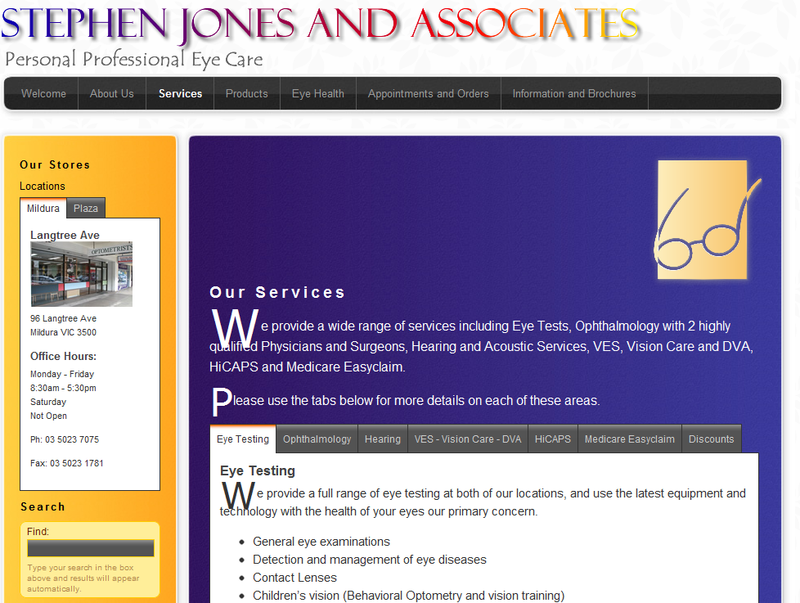 The brief for this site included a consistency in menus and easy "roll over" graphics display, with easy searching and the option to increase and decrease site text size to help vision impaired people view the contents. The client wanted to be able to edit content themselves without the need for a full CMS (Content Management System) and database backend. This was achieved but sometimes leads to page layout coding being "broken". Strong use of tabbed areas within page sections provides the ability to display related information without the need for scrolling or additional pages. The subtle site background and different section colours reflects the block colour interior design concepts used at both business locations.